Abstract—The Modern Science and Technology Museum is an important place for popularizing scientific knowledge and improving the scientific quality of the public, playing an important role in promoting scientific and technological progress. This paper presents a quantified evaluation method for exhibits in Science and Technology Museums. This method establishes a three-level index system and trains the weight of each index in the index system through neural network to evaluate exhibits quantitatively. Compared with traditional evaluation methods, this method can more comprehensively and scientifically evaluate the display effect of exhibits. Through this evaluation index system, administrator of Science and Technology Museum can know what aspects of the exhibit need to be improved. In response to these aspects, the exhibit is modified to improve its display effect. Index Terms—Modern science and technology museum, exhibits, evaluation, neural network. 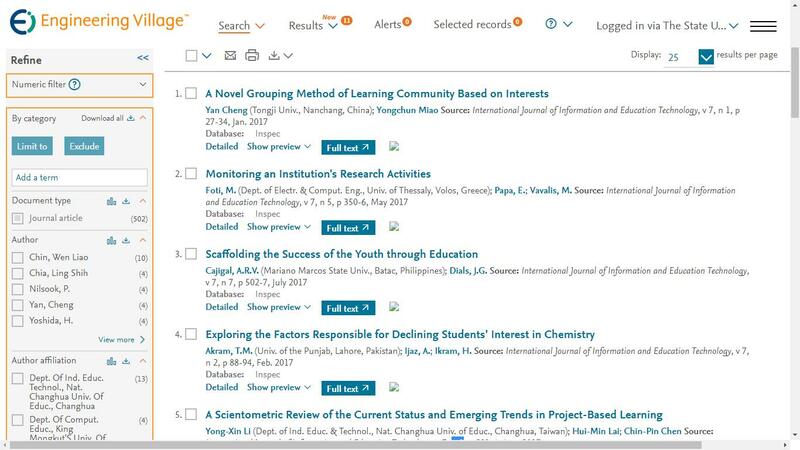 The authors are with Central China Normal University, Hubei, China (e-mail: qiusham@mail.ccnu.edu.cn, ytchen@mails.ccnu.edu.cn, zfwang@mail.ccnu.edu.cn, xiadanchina@163.com, mzzuo@mail.ccnu.edu.cn, jmye@mail.ccnu.edu.cn). Cite: Qiusha Min, Yating Chen, Zhifeng Wang, Dan Xia, Mingzhang Zuo, and Junming Ye, "A Neural Network Based Approach for Exhibition Evaluation in Modern Science and Technology Museums," International Journal of Information and Education Technology vol. 9, no. 2, pp. 123-128, 2019.